I end the month the way I started it; with some ghost-busting. 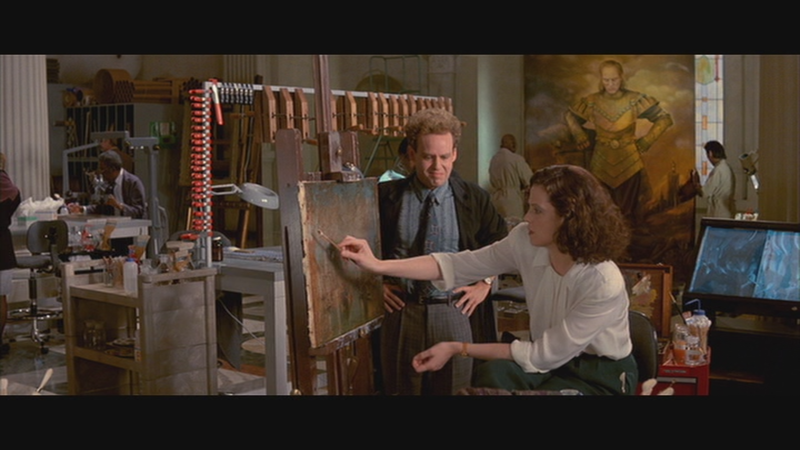 Specifically, Ghostbusters II. The first time I saw it was when my parents rented it on VHS for my birthday one year. I was hugely into the Real Ghostbusters comic book at the time, and I watched the movie at least twice before we returned it. Now it’s not as good as the first one, but I like it. It gets perhaps a little too silly and feel-good towards the end, but overall it’s simply more Ghostbusters and that is a good thing no matter what. For people craving more Ghostbusters (and what person in their or someone else’s right mind wouldn’t) I recommend the current IDW comics. They may not be Ghostbusters III, but they’re really good. This entry was posted in Movies and tagged comics, ghostbusters, ghostbusters 2, halloween, HHMMS2013, horror, idw. Bookmark the permalink.